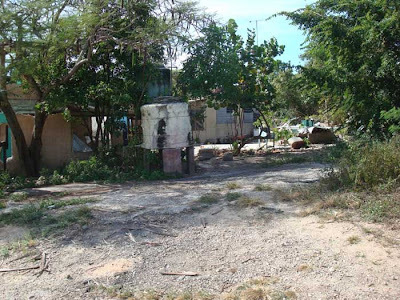 It is in this context and perhaps in response to a possible threat of a rebellion from bellow given the chronic lack of housing that affects Cubans that the government recently decreed a new ‘Housing Law’.This law has been praised in certain media outlets without proper analysis is mined with discrimination and an archaic definition of what constitutes property in Cuba. Under the new law, Cubans for the first time since the Castro regime conquered political power in January 1, 1959 will be allowed to buy and sell their houses. But as the saying goes “the devil is in the details.” The law of course does not occur in a vacuum or due to a government interest in the welfare of the people. One needs to understand that lack of housing is the main social issue that impacts most Cubans today and as such it has the potential for a popular explosion against the regime. 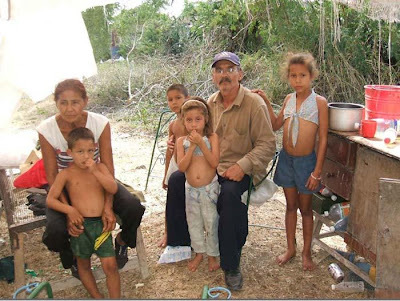 For example, Cubans who abandon the country can sell their properties or bequeath them to relatives, but they cannot keep their houses while living permanently in another country without a government permit. The state on the other hand investigates the “legitimate” origin of those who buy a house as a condition for the sale to go through or be prohibited. With a totalitarian regime controlling the politics and the economy of an entire society it is very difficult to prove the “legitimacy” (according with government definition) of your money. Only government officials can be benefited by measures of this type. The rest of society would have to find ways (as usual) to trick the government bureaucracy, bribe a few people in the process, and get what they want. 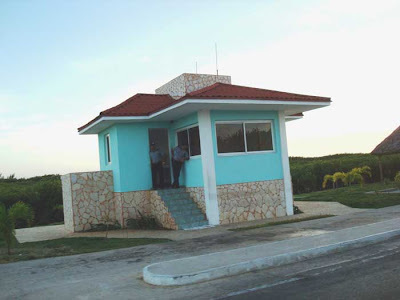 The most questionable part of DECREE 288 is Article 110 that entrusts the Council of Ministries and its President ( Raúl Castro) with ample powers to decide over properties located in certain areas of the country. In other words, this means that the properties located in the best neighbourhoods (Vedado, Nuevo Vedado, Miramar, Siboney, Tarará, Varadero, etc) are reserved for the government elite. There is of course the issue of ‘legitimacy’ in proving the origin of your money. 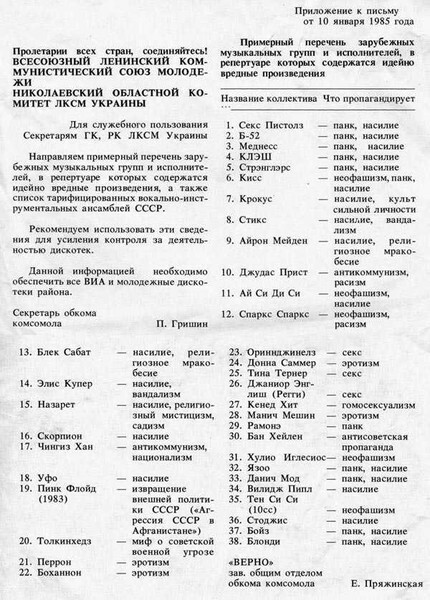 In a totalitarian state where the government controls all political, cultural, social and economic activity how can anyone other than a limited number of state official of the highest rank, certain musicians and a bunch of professionals who travel and receive revenue in US dollars can prove that their money is legitimate? Certainly, this excludes the ordinary Cubans who receive remittances from relatives abroad but cannot prove the “authenticity” (according to state perceptions) of their money as the agency or networks they use is in most cases not connected with the Cuban government. The rest only leaves us with those that thrive under the ‘Illegal” economy and in Cuba the state deems illegal most economic activities. 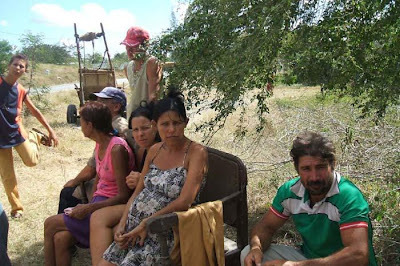 Graphic Evidence that proofs how the Cuban government evicts people from their houses. 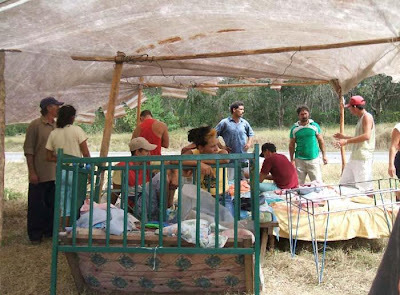 A family with 4 children, a pregnant mother in the province of Holguin, Cuba living on the side of the highway as the government evicted from their house with the excuse that "their houses were illegally constructed." Pictures from The Real Cuba (April, 2008). History repeats once again. 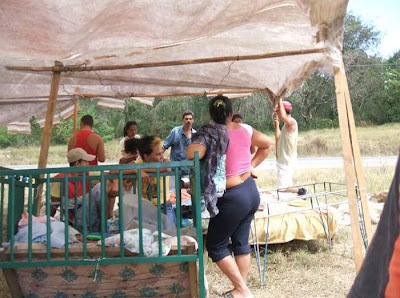 The forceful eviction or "desalojos" that were harshly condemned in revolutionary propaganda, is now recurrent image in present day Cuba. 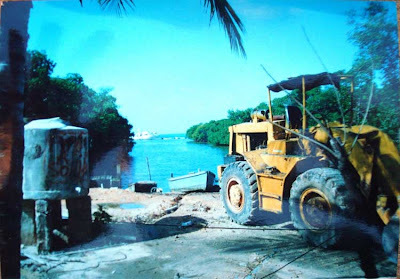 Prior to the issuing of Decree 288, there were other similar laws that equally gave the Cuban government ample powers over houses and even small villages settled in places the regime "deemed of interest." 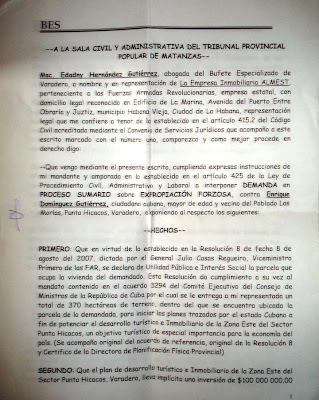 For example this document is a copy of 'Notification of Forceful Expropriation' handed to Enrique Dominguez Gutierrez of Las Morlas, Varadero, Cuba by the corporation ALMEST a subsidiary of Cuba's Armed Forces. The document orders Dominguez and his family to abandon the location as it is of "state interest." Source: The Real Cuba January 16, 2008. Gaceta Oficial de Cuba, November 2, 2011: CE Decreto-Ley No. 288; BCC R. No. 85/11; INV RC. 01/11; Rs. Nos. 342, 343/11; MFP R. No. 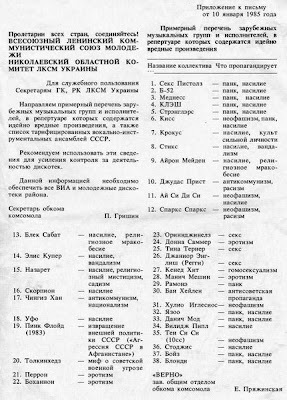 351/11; MINJUS R. No. 270/11.